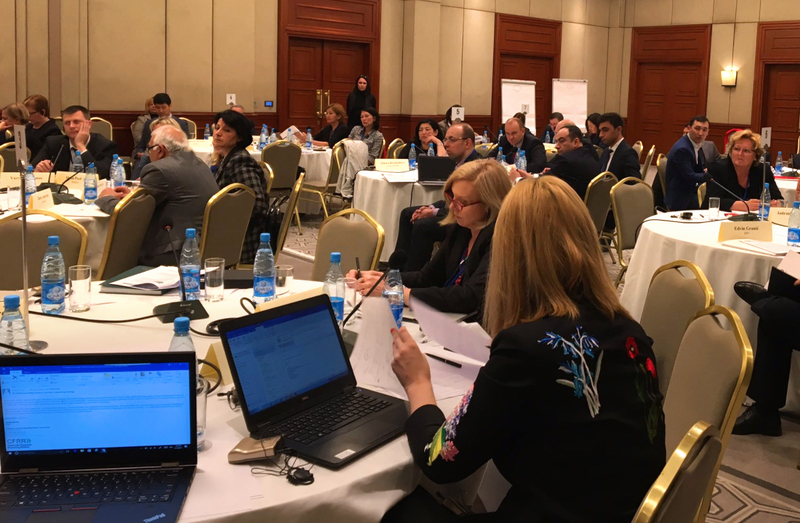 The Budget Community of Practice (BCOP) of the Public Expenditure Management Peer Assisted Learning (PEMPAL) network held its annual plenary meeting in Bishkek, Kyrgyz Republic from April 12-14,2017. The key objectives of the meeting on 'tools for fiscal management' was to share PEMPAL and international good practice in the use of fiscal management tools with a focus on fiscal risks management; program and performance budgeting; and budget literacy and transparency. 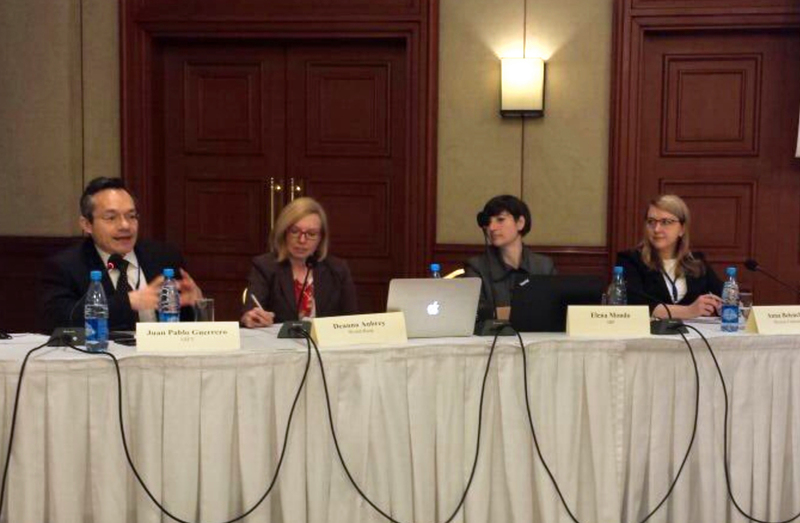 The meeting provided the opportunity for BCOP member countries to exchange experiences and discuss possible approaches and options to using some of these tools. Presentations were delivered by the World Bank, IMF, IBP, and GIFT with PEMPAL country case studies of Bulgaria, Croatia, Kyrgyz Republic, Moldova, Ukraine, and Moldova examined. Updates from BCOP's two working groups, who meet more regularly to progress key reforms and solve common reform challenges, were also provided. The Program and Performance Budgeting Working Group has been participating in OECD's Performance Budgeting Survey and the preliminary survey results were reviewed during the plenary meeting including identifying good practice and examining performance against OECD countries. The Budget Literacy and Transparency Working Group has recently finalized its first draft of a Knowledge Product that identifies challenges of PEMPAL countries in constructing Citizens' Budgets (which were not common in the region when the work was initiated). GIFT’s presence in the meeting emphasized the importance of public participation in fiscal policy, discussing why this has become a key component of good governance, and introducing the Principles of Public Participation in Fiscal Policy, as well as the Guide on Principles and Mechanisms of Public Participation in Fiscal Policy and some of the cases documented there. 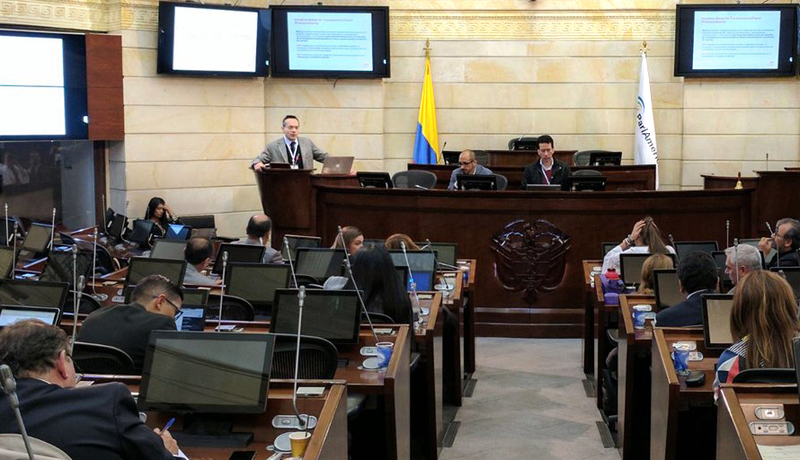 The Bicameral Transparency Group of the National Congress of Chile –which leads the OGP Legislative Openness Working Group-, the Senate of the Republic of Colombia, the World Bank, and Parlamericas organized the Regional Open Parliament Workshop, “Building Trust between Parliaments and Citizens that took place in Bogota, Colombia on April 20-21, 2017. The meeting drew together parliamentarians from Chile, Colombia, Costa Rica, Dominican Republic, Ecuador, Honduras, and Peru, as well as representatives of civil society organizations, such as Directorio Legislativo (Argentina), Ciudadano Inteligente (Chile), Transparencia por Colombia and Congreso Visible (Colombia), Congreso Transparente (Guatemala), and Fundar (Mexico), along with the FOWG, coordinated by GIFT, and World Bank specialists to discuss tools and initiatives to strengthen the role of the legislative in the budget process, to get closer to citizens in order to recover trust, and to improve governance and control corruption. For this workshop, GIFT organized the panel “Public participation in budget processes, open budgets and disclosure of budget information”. Juan Pablo Guerrero form GIFT framed the conversation with an introduction on the concept and rationale for public participation in how public resources are raised and spent; Mario Martínez from Foro Nacional por Colombia (IBP Open Budget Survey –OBS local researcher) explained how the OBS is built and how it measures public participation in the budget; Guillermo Osorio from Fundar (Mexico) shared his organization’s experiences engaging with the Mexican legislative in budget matters; and Tania Sánchez from GIFT presented the Guide on Principles and Mechanisms of Public Participation in Fiscal Policy, and discussed cases of public participation in the legislative around the world. 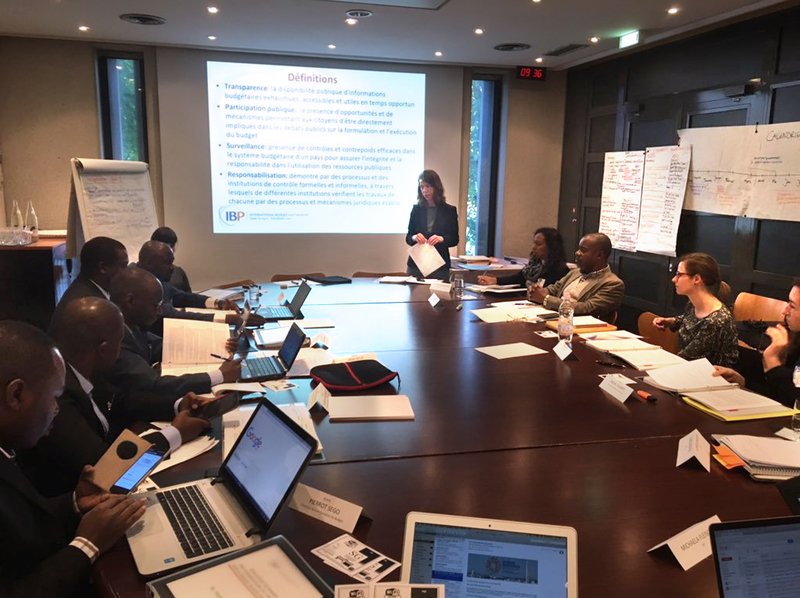 GIFT was present in the Workshop with Francophone African Countries in Paris, on April 11. The meeting was co-organized by the International Budget Partnership, the Ministry of Economy and Finance and the Ministry of Foreign Affairs and International Development of France, and GIFT, bringing together representatives from MoF of Mali, Comoros, Senegal, Benin, Democratic Republic of Congo, Cote d’Ivoire, and Madagascar. In general, the MoF representatives are very keen to continue discussing ways to better structure in a coherent effort, and in dialogue with civil society, the various and often unconnected efforts of the region on open government, including access to information, participation, anti-corruption, and open budgets. The GIFT network, namely CABRI and IBP, is working with the OGP Support Unit and MoF of the region in organizing a meeting for the second semester of 2016 of open government and fiscal transparency in Francophone Africa. 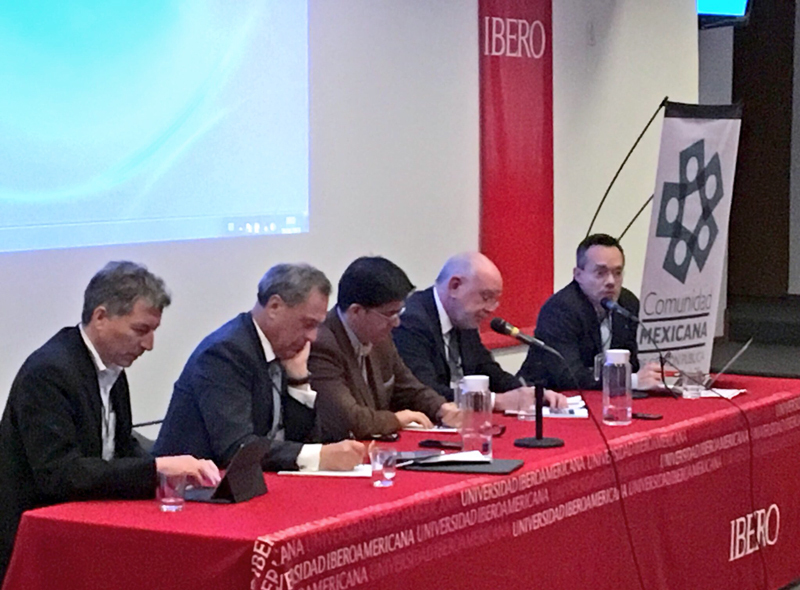 At the Annual Congress of Economy and Public Policies at the Universidad Iberoamericana, in Mexico City, Juan Pablo Guerrero participated in the closing panel, How to make public spending promote growth and development?, along with other experts and scholars who have been pushing the open budget and accountability agenda in Mexico for over 25 years. In his presentation, Juan Pablo proposed that in order for public spending to promote growth and development in Mexico it is essential to increase the quality of public spending and improve the allocation in strategic areas such as infrastructure, education and health. 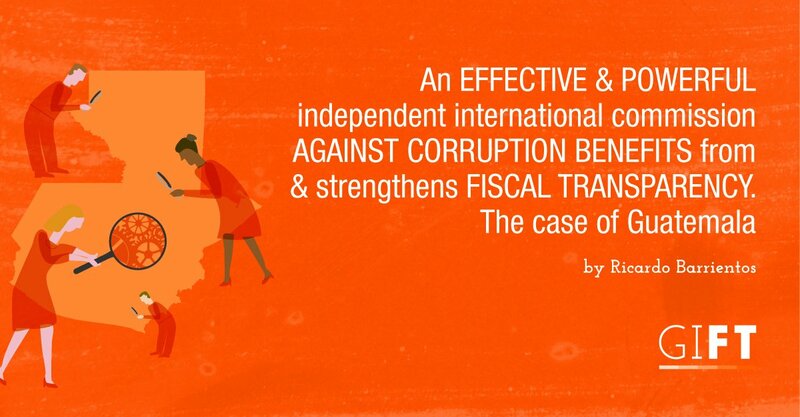 For this to happen, transparency needs to be improved and public participation in spending needs to be promoted. See brief in Spanish here. The Court of Audit of the Republic of Slovenia along with GIFT are convening representatives of national organizations of local communities, representatives of the Ministries of Finance, representatives from Universities, NGOs and colleagues from the Supreme Audit Institutions of the region (Albania, Austria, Bulgaria, Bosnia and Herzegovina, Czechia, Montenegro, Croatia, Hungary, Italy, Macedonia, Romania, Slovakia, Slovenia and Serbia) to discuss public participation as a relatively new and exciting trend in the development of budgetary processes in the region and globally. Organizers seek to raise the level of awareness of the opportunities offered by the participatory preparation of budgets and to encourage its use of it in the region. Stay tuned! The World Bank and GIFT, along with the Ministry of Finance and the Technical Secretariat for Economic and Social Planning, are organizing a Learning Workshop with the objective of strengthening the transparency of national and local plans and budgets, supporting government efforts to guarantee access to public information and promote public participation in the development agenda governance. 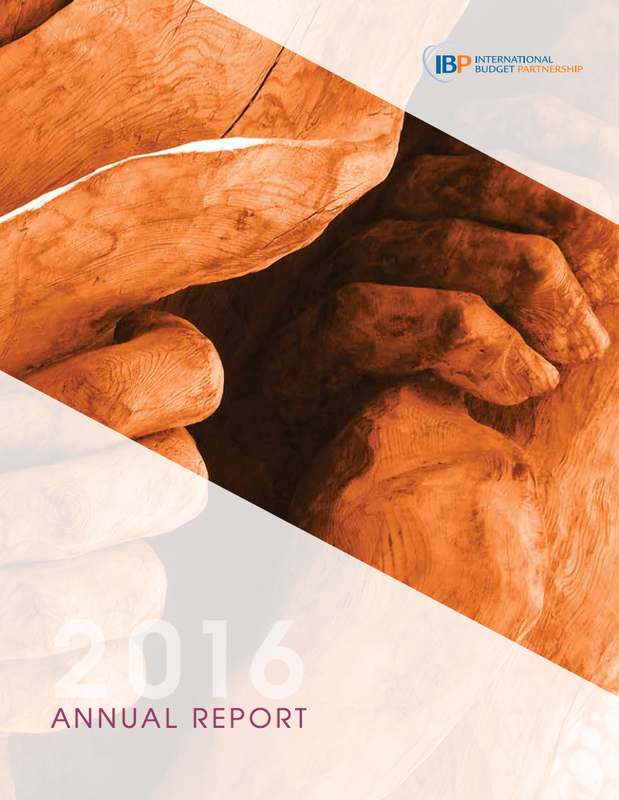 “2016 was a turbulent year for many of us. The rise of authoritarian governments and the closing of civic space in many parts of the world took quite a few by surprise. In several ways, we had been lulled into a false sense of security by years of progressive governments in many of the countries where we work. This year was a rude reminder that the road to open budgeting is not an easy one, nor should we expect it to be. From April 21 to 23, the World Bank Group and the International Monetary Fund held their Spring Meetings 2017. See all related materials here. 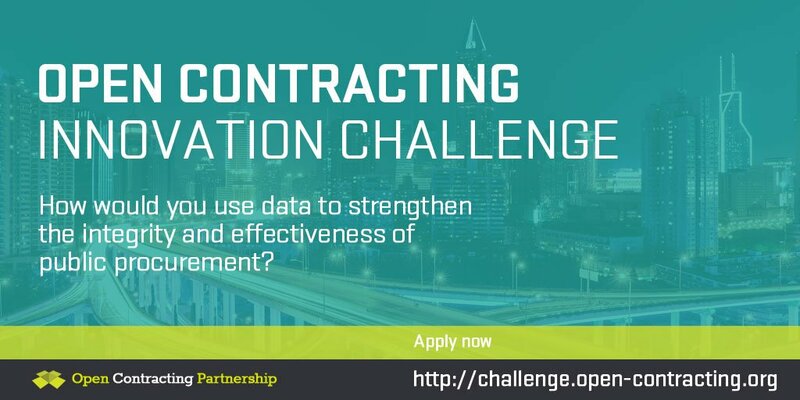 There is a $60,000 Challenge Prize from the Open Contracting Partnership and the Open Data Institute. DATA Act of the US Treasury Department: $3.85 trillion of spending information in a single open data set! As of May 9th, under the DATA Act of 2014, every U.S. federal agency will begin reporting - and the Treasury Department will publish - $3.85 trillion of spending information in a single open data set. The reporting process is aided by the DATA Act Broker, open-source software developed by the General Services Administration's 18F technology team. The data set is now available on the rebuilt USASpending.gov. It is the first of its kind and will transform the way government collects and publishes spending information that was not readily available, previously. Congressional appropriations will be directly linked to the activities, contracts, and grants they fund - across all agencies, searchable on a single platform. 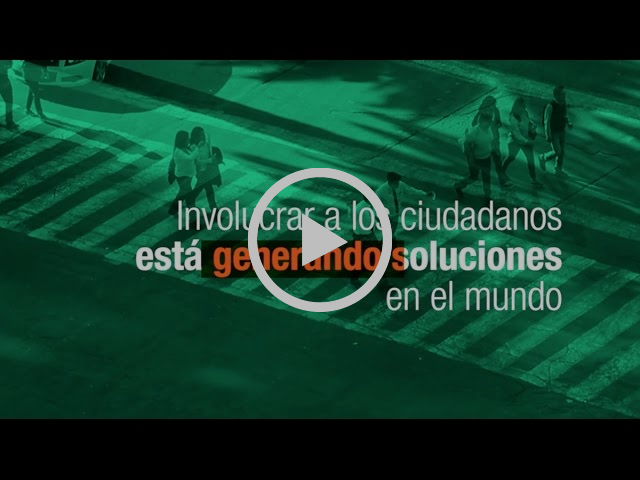 ¡Involucrar a los ciudadanos está generando soluciones! 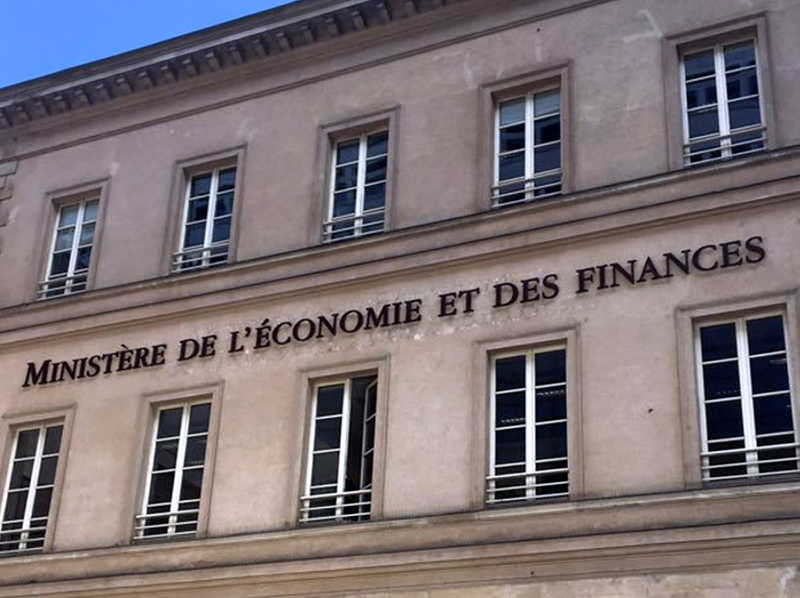 The relationship between political power and fiscal transparency has always been there, or at least, has been an issue for theoretic or academic debate. 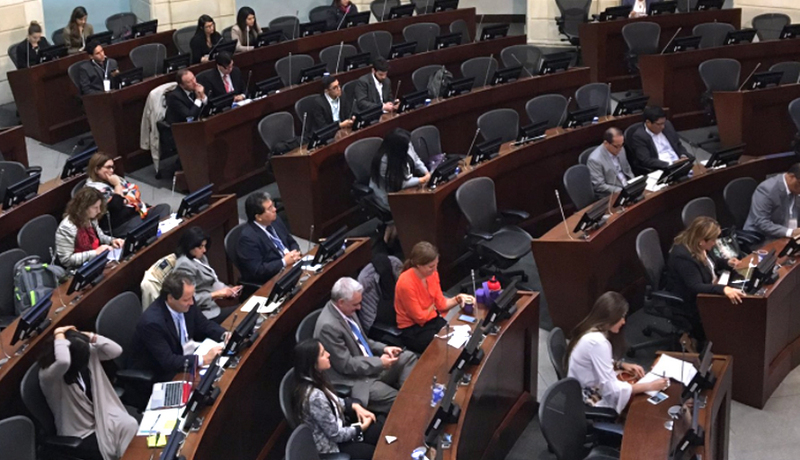 But since 2015, Guatemala offered a very concrete case which showed this relationship, perhaps in a dramatic way.